"War" was performed in concert by Bruce Springsteen and the E Street Band in 1985, added to the set list for the final few shows of their lengthy Born in the U.S.A. Tour. Springsteen and his manager Jon Landau were looking for a way to make these concluding shows, taking place at the Los Angeles Memorial Coliseum, a little different and special, and Landau suggested playing "War". A year earlier, he had suggested the same, as a loose protest against Reagan Administration foreign policy in Central America and elsewhere, but the band had been unable to come up with an effective arrangement. This time, however, they did. Springsteen taped the words of the song to his arm, prefaced the song with a spoken admonition not to blindly trust the government, leaders or anything else, and then he and the band performed a rock rendition. Springsteen released the September 30, 1985 performance as a part of his 1986 box set, Live/1975–85. "War" was chosen as the first single from the set, and it was again a big hit, reaching #8 on the Billboard Hot 100 chart. The music video for the single was a straight concert filming of the same performance. "War" is played as a duet with Edwin Starr just as they did in 1988 in the same city – the only version on this tour. "War" is a song written by Norman Whitfield and Barrett Strong for the Motown label in 1969. Whitfield first produced the song with The Temptations as the original vocalists. The Temptations' version of "War" was much less intense than the Edwin Starr version. They delivered the song's anti-war, pro-peace message over a stripped-down instrumental track, with bass singer Melvin Franklin chanting a repeated recruit training-like "hup, two, three, four" in the background during the verses. After Motown began receiving repeated requests to release "War" as a single, Whitfield re-recorded the song with Edwin Starr as the vocalist, with the label deciding to withhold the Temptations' version from single release so as not to alienate their more conservative fans. 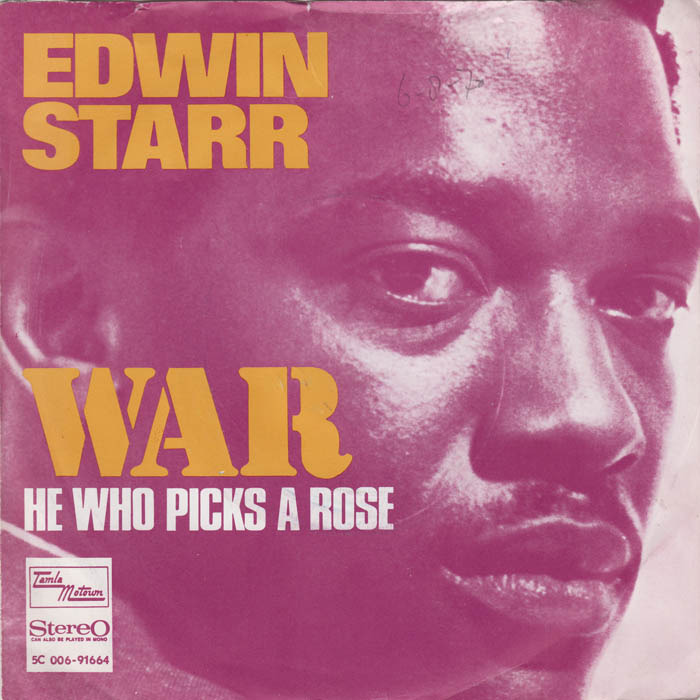 Starr's version of "War" was a number-one hit on the Billboard Hot 100 chart in 1970, and is not only the most successful and well-known record of his career, but it is also one of the most popular protest songs ever recorded.